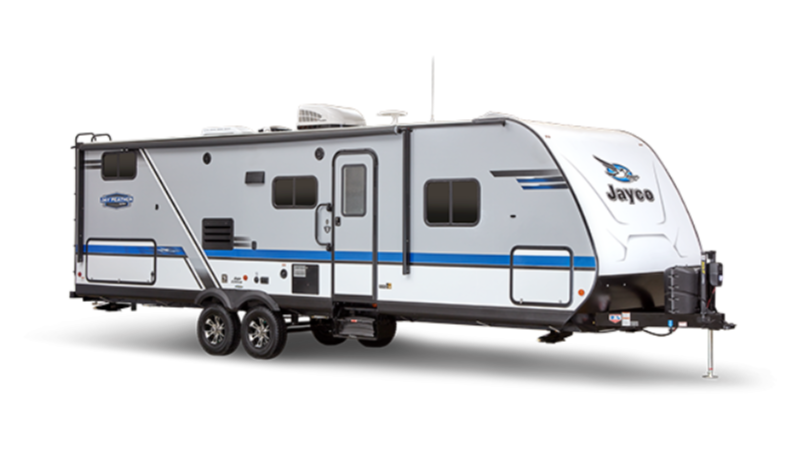 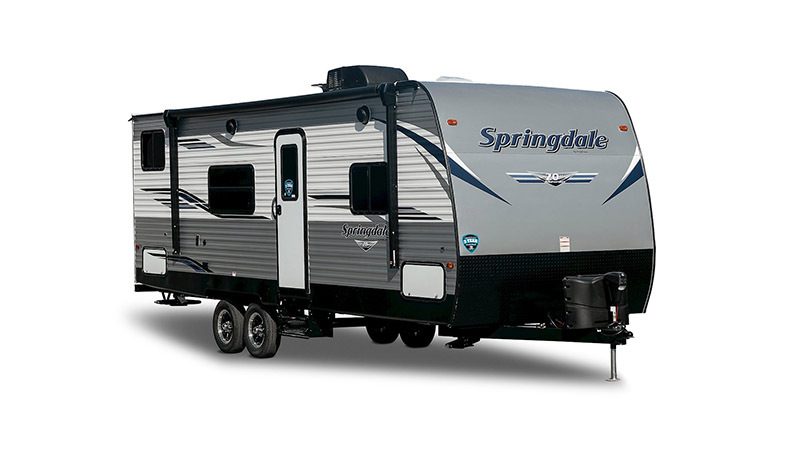 Both spacious and luxurious, travel trailers are designed to be your home away from home. 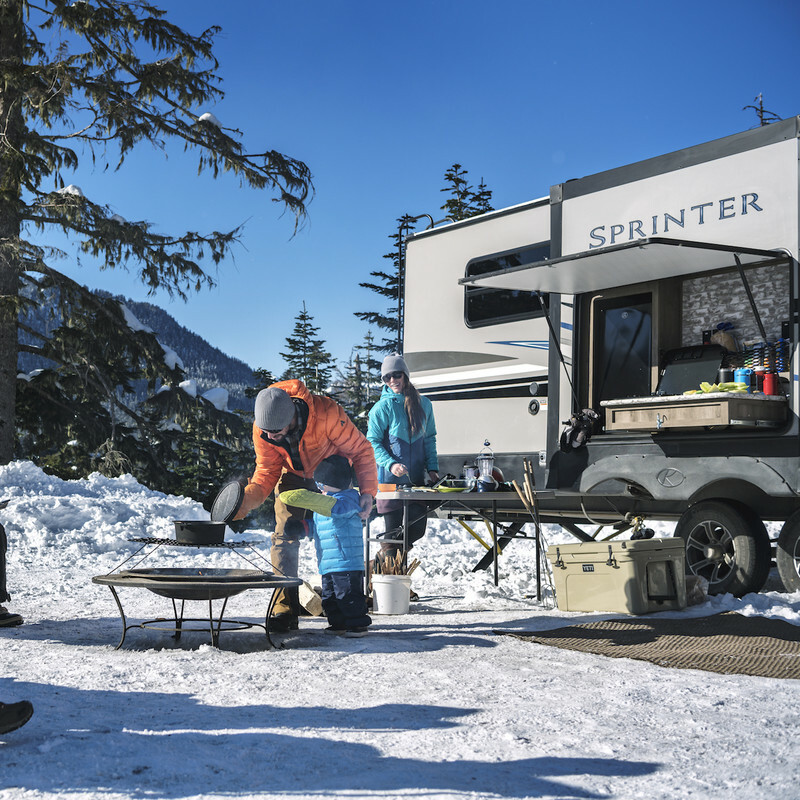 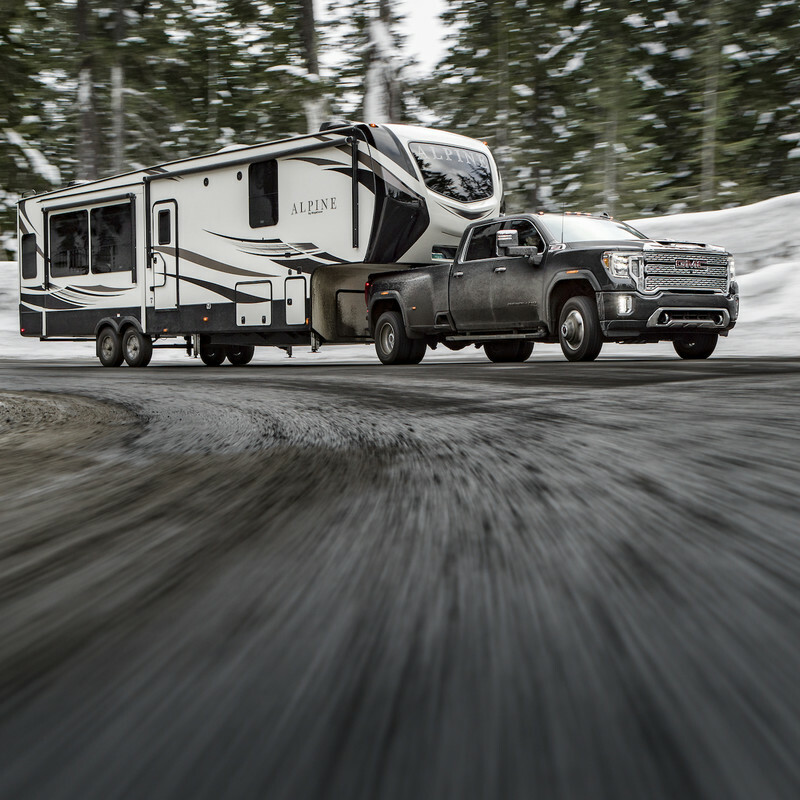 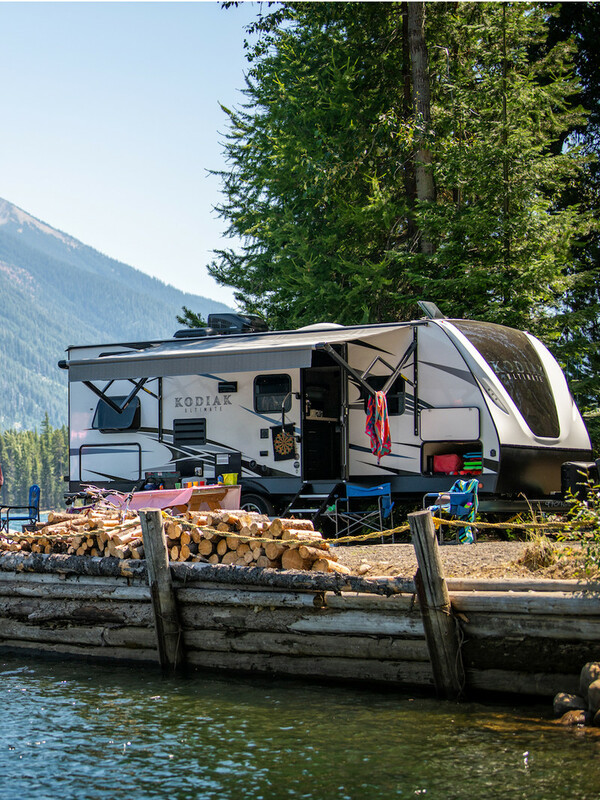 These trailers encompass several RV types, including pop-up campers, toy haulers, and lightweight RVs — all distinguished by their standard ball hitch. 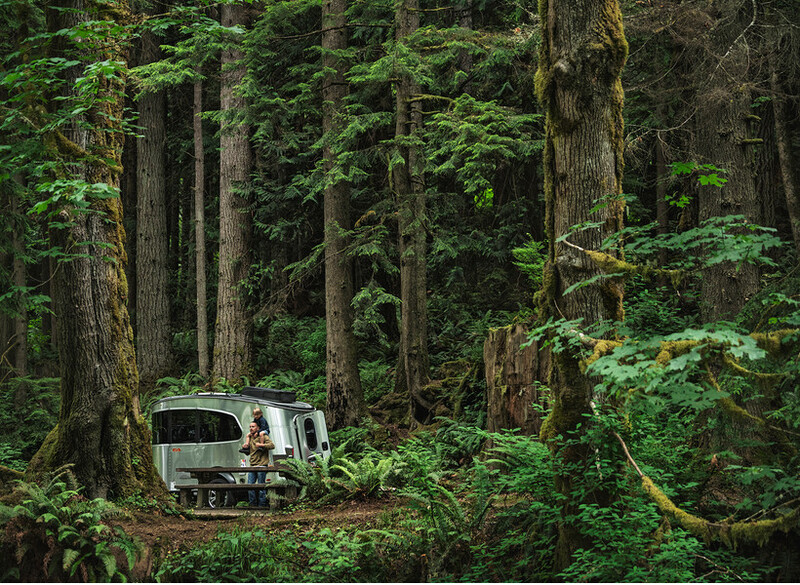 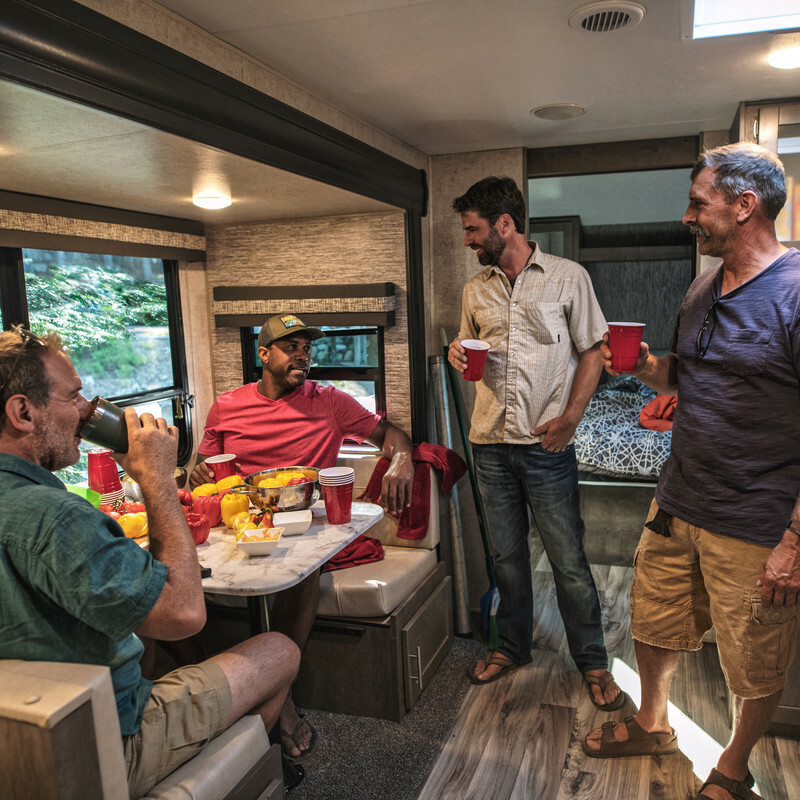 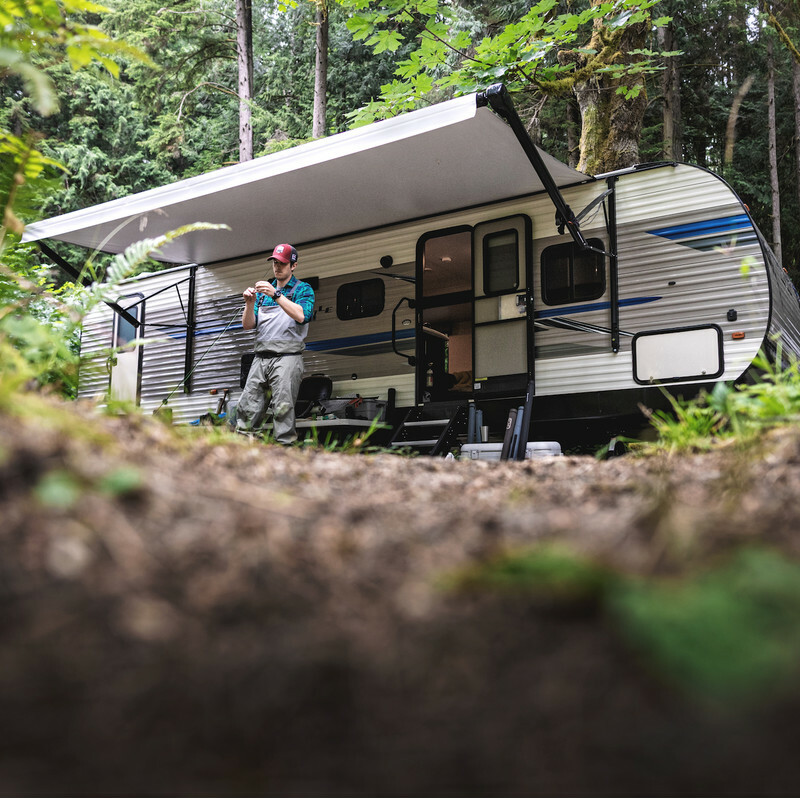 Travel trailers offer certain advantages over motorized RVs, such as the flexibility to detach your towing vehicle for short runs into town or off-road trips. 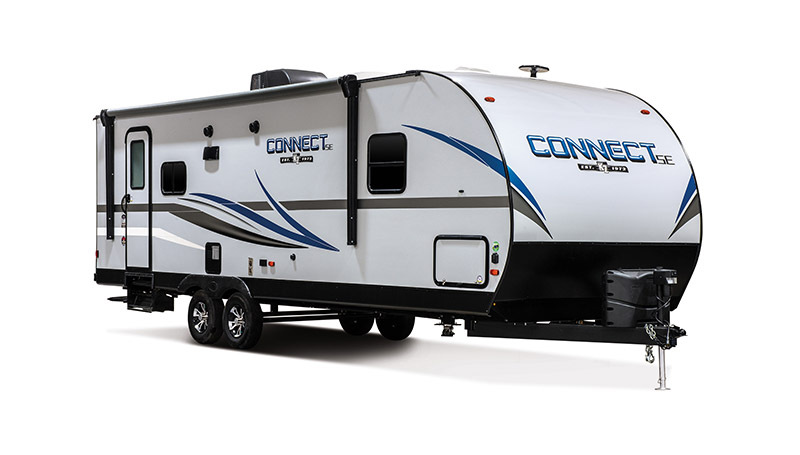 Length 24' 10" - 37' 9"
Length 18' 4" - 34' 11"